M 1000 x 841px 2 Mb. L 2000 x 1682px 8 Mb. XL 7135 x 6000px 15 Mb. 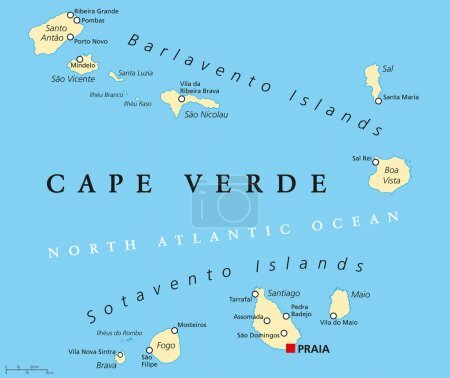 Cape Verde Political Map with capital Praia and important cities. English labeling and scaling. Illustration.